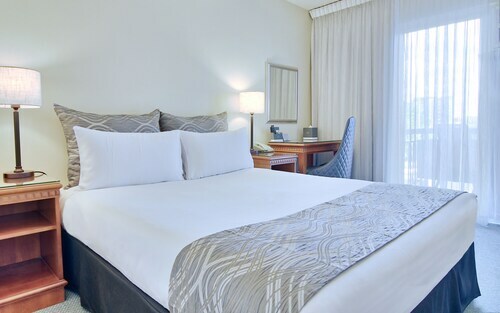 Located in Brisbane Central Business District, this hotel is within a 10-minute walk of Brisbane Private Hospital, Queen Street Mall, and Roma Street Parkland. Suncorp Stadium and Brisbane Convention and Exhibition Centre are also within 2 mi (3 km). Brisbane Central Station is 6 minutes by foot and Brisbane Roma Street Station is 10 minutes. 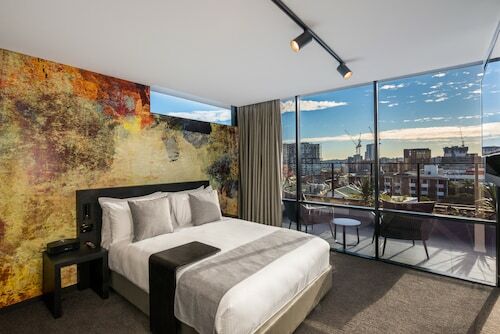 Located in the heart of Spring Hill, this luxury hotel is within a 15-minute walk of Roma Street Parkland and Queen Street Mall. Chinatown Mall and Suncorp Stadium are also within 1 mi (2 km). Brisbane Central Station is 10 minutes by foot and Brisbane Roma Street Station is 15 minutes. 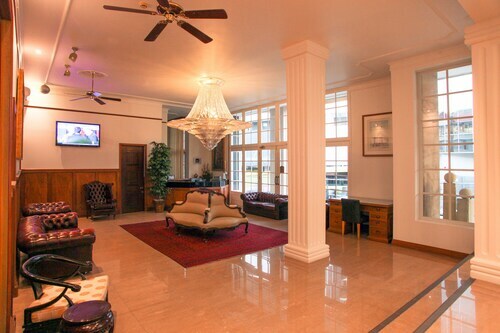 Situated in Spring Hill, this hotel is within a 15-minute walk of Chinatown Mall, Tivoli, and RNA Showgrounds. Queen Street Mall and Roma Street Parkland are also within 1 mi (2 km). 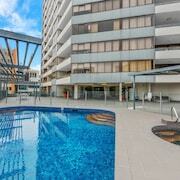 Brisbane Fortitude Valley Station is 5 minutes by foot and Exhibition Station is 12 minutes. 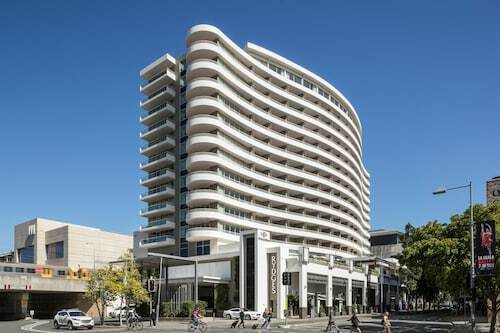 Situated in the entertainment district, this hotel is within a 15-minute walk of Eagle Street Pier and Queen Street Mall. Roma Street Parkland and Brisbane Botanic Gardens are also within 1 mi (2 km). Brisbane Central Station is 7 minutes by foot and Brisbane Fortitude Valley Station is 14 minutes. 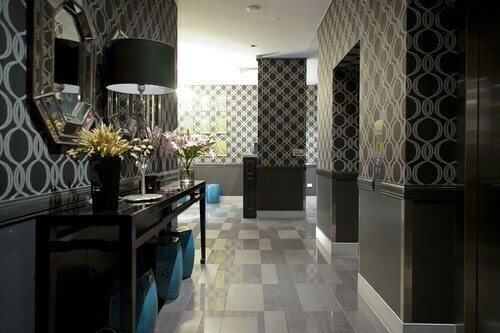 Located in Brisbane Central Business District, this hotel is within a 10-minute walk of Brisbane Private Hospital, Queen Street Mall, and King George Square. Roma Street Parkland and Brisbane City Hall are also within 15 minutes. Brisbane Central Station is only a 5-minute walk and Brisbane Roma Street Station is 11 minutes. 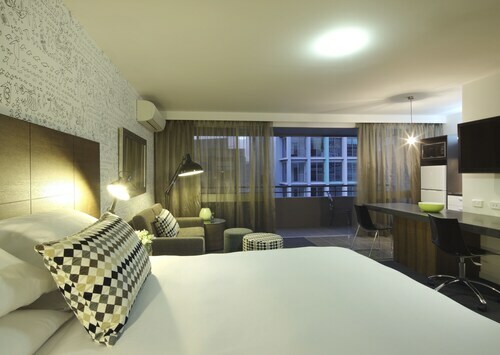 Located in Brisbane Central Business District, this motel is within a 10-minute walk of Brisbane Private Hospital, Roma Street Parkland, and Queen Street Mall. King George Square and Brisbane City Hall are also within 10 minutes. Brisbane Central Station is 8 minutes by foot and Brisbane Roma Street Station is 12 minutes. 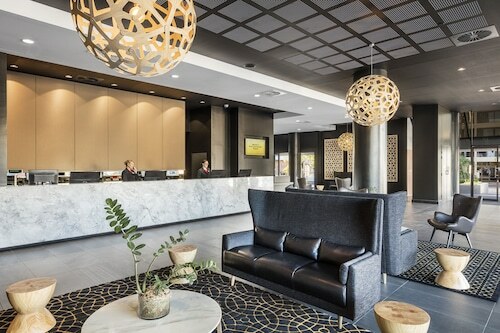 Located in the heart of Spring Hill, this hotel is within a 10-minute walk of Brisbane Private Hospital, King George Square, and Brisbane City Hall. Queen Street Mall and Roma Street Parkland are also within 15 minutes. Brisbane Central Station is 7 minutes by foot and Brisbane Roma Street Station is 14 minutes. 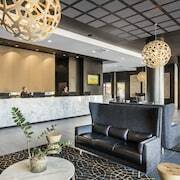 Located in Brisbane Central Business District, this hotel is within a 10-minute walk of Brisbane Private Hospital, St. Andrew's War Memorial Hospital, and Roma Street Parkland. Queen Street Mall and Queensland Museum and Sciencentre are also within 1 mi (2 km). Brisbane Central Station is 9 minutes by foot and Brisbane Roma Street Station is 11 minutes. 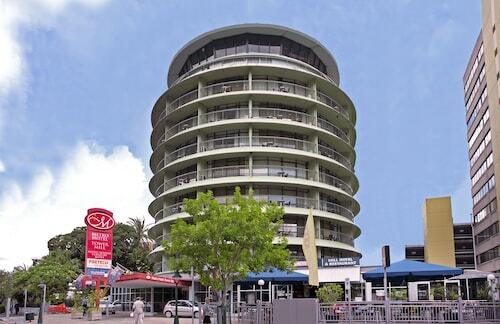 Spring Hill is an inner-city suburb of Brisbane known for its proximity to the CBD. Just one kilometre from the centre of the action, this is easily one of the best spots to book your Spring Hill accommodation. 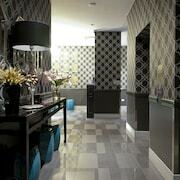 Spring Hill is not quite in the thick of it – but still just a five to ten minute walk away. One of Brisbane’s earliest suburbs, Spring Hill gets its name from the spring that originated on the hill and supplied the settlement of Brisbane with extra water in the mid-1800s. Signs of its role in the making of the city can be found dotted around the suburb to this day. Home to the oldest surviving swimming baths in the southern hemisphere, complete with heritage listing, the Spring Hill Baths were built in 1886. With its Victorian changing cubicles, upper gallery with stepped wooden bleachers, and a 23.43 metre long pool, it’s a piece of history you can still swim in. A kiosk, heating, and classes have modernised the place, even if just slightly. Further around the suburb you can spot convict-built buildings and quaint old workers’ cottages amongst new apartments and office blocks. Also created at the hands of convicts and now heritage listed is the Old Windmill in Wickham Park, built in 1824. Used as a grain mill and then as a gallows for the colony, it’s the oldest surviving building in Queensland to date. But despite the character that abounds in Spring Hill from its rich past, today it’s considered a young and vibrant part of town – a mix between commercial and residential. Coffee shops, pubs and restaurants make this a refreshing inner-city hangout away from the CBD, with the most prominent dining and latte-sipping areas along Leichhardt Street, Boundary Street and Wickham Terrace. With Brisbane highlights such as the Queen Street Mall, the lively riverside dining precinct and the trendy nightlife of Fortitude Valley on its doorstep, Spring Hill is lucky to sit on the edge of the green and flora-filled Roma Street Parklands too. From here, you are easily connected to most of the main Brisbane sights by foot. Alternatively, the CityCycle scheme provides bikes for short-trips and daily use, with pick-up and drop-off points dotted throughout the city, including hotspots such as South Brisbane, West End and New Farm. If you’d prefer a bus, and a free one at that, the Spring Hill City Loop service is a great way to get around the suburb and into the CBD. The free City Loop service is another great way to get around the CBD, which stops at many local attractions. If you’re heading further afield, there are heaps of buses and trains running in all directions from the city, including the reliable Airtrain service to the Brisbane Airport. Another transport hub, Roma Street, is the place to catch a bus or long-distance train when you’re leaving Brisbane altogether. 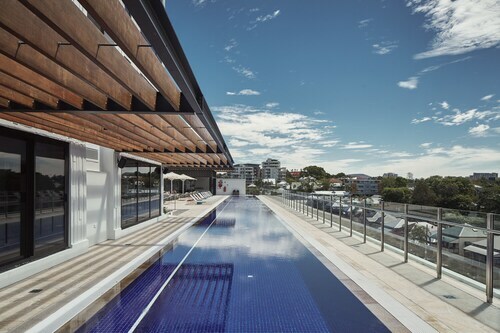 With transport at your door, the city sights in the distance, and an interesting past to unravel, there’s no doubt a Spring Hill hotel is in order for your next Brisbane rendezvous. So wot are you waiting for? Need insider tips on must-see attractions in Spring Hill? Check out our Spring Hill travel guide! How Much is a Hotel Room in Spring Hill? Hotels in Spring Hill start at AU$77 per night. Prices and availability subject to change. Additional terms may apply.